The Fishermen’s Cooperative of Campeche (“Frente Amplio de Pescadores de Campeche“), led by Julio Chi Pech, joined the demonstrations and public protests narionwide for the increase in the price of gasoline, which harms their “modus vivendi” in a significant way. Chi Pech declared that more than five thousand local fishermen are being severely affected by this imposition determined by President Peña Nieto, and demands the federal government to reconsider this action that damages hundreds of families who depend on fishing. In addition, the price of fishing gear and supplies went up, including bait, oil, food and outboard engines’ spare parts. Julio Chi said that if there is no reconsideration in fuel prices, there will be demonstrations and marches, since the people of Campeche consider this measure an injustice. He observed that with these terrible actions and bad decisions, the government “has awakened the beast”. He added, “Even “campechanos“, that have always been characterized by being calm and peaceful, are now in a rage”. The fishermen’s leader continued: “We don’t want any bad governments that take advantage of the good faith of the people through demagogic speech. President Peña promised no more raises to fuel prices or taxes, and he is not keeping his word”. 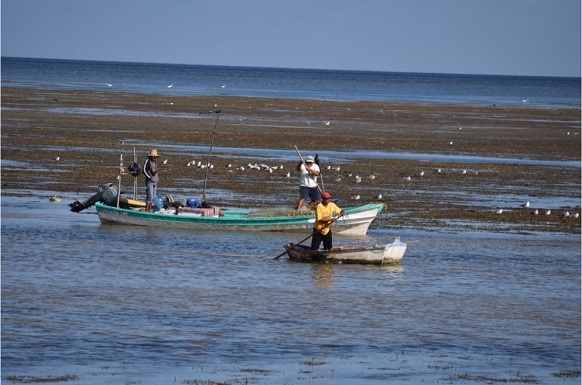 The Frente Amplio de Pescadores de Campeche requested Campeche State Governor Alejandro Moreno Cárdenas to intervene on behalf of the people of Campeche, who according to the fishermen, never received the slightest benefit from the alleged “oil richness” of the state.